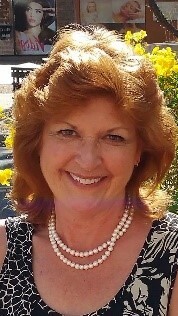 Dianne K. Mahoney, 66, passed away on Thursday, January 17, 2019 at the Covenant Hospice Inpatient and Palliative Care Center in Pensacola, FL surrounded by loved ones. Graveside services will be 1:00 p.m. Friday, February 1, 2019 at Evergreen Cemetery in Loup City, NE with Father Richard Piontkowski officiating. In lieu of flowers, memorial contributions may be made to St. Paul Catholic Church, 3131 Hyde Park Rd., Pensacola, FL 32503 or to Hotel for Dogs and Cats, 4110 Creighton Rd., Pensacola, FL 32504. Dianne enjoyed spending time with her family. Her smile brightened the lives she touched. She had a rewarding career of over 36 years with Escambia County. Her father, Thomas Wagner, was waiting to welcome her when the Lord called her home. Dianne is survived by her husband, Peter; her mother, Marjorie Wagner; her daughters, Madison and Morgan Gates; her beloved grandchildren, Aidan Merchant and Giana Stolfi; her sisters, Barbara Cox of Colorado and Patricia Hordell of Virginia.